Getting the girls’ room organized, but I have started on it though. Donating my girls’ clothes as well as donating my own. The girls and I didn’t get a chance to walk the trails at Stone Mountain due to our busy schedules and bad weather. But we did manage to get on the duck ride during the day of our photoshoot, this ride is always sold out so we lucked out. 1. Update my wardrobe. When I moved in January to my new home, I donated a lot of my Fall clothing so I’ll be getting new outfits, I actually have already started purchasing new clothes. Fall season calls for layering, boots, and fringe. I need to start doing more haul posts and outfits of the day posts here on the blog of myself. With me resigning from my job at the end of the year I should have more time to start doing them again. 2. Visit the county fair. The girls and I love going to the fair and getting on rides, plus visiting all the farm animals from local farms that are at the fair. 3. Visit a corn maze. This is a tradition for the girls and me to get lost in a corn maze at a nearby ranch. Once the weather starts cooling down we’ll go because it’s no fun being lost in a corn maze sweating and dehydrated. 4. I’ll be giving it another shot and will be cleaning out the girls’ and I closet. I’ll be also helping them organize their room. 5. What can I say; I have been bitten several times by the travel bug so you may see my family and me hitting the road again; more than likely for Lauren’s birthday. Last year for her birthday we went down south to Savannah, Georgia, so we got to find some place epic to have her birthday this year. 6. Decorate pumpkins. We don’t carve pumpkins, just color and paint on them. 7. Go Halloween Shopping. The girls are unsure what they want to be for Halloween, I bet it’ll be something girly like always. 8. Start drinking hot chai teas again. Well actually I have already started because I’ve been feenin’ for some hot chai tea and couldn’t wait for the weather to mild down. I'll just make sure to have my hot tea in an air conditioned room, LOL! 10. *Sings* YOU'RE SO BEAUTIFUL…SHAKE IT, SHAKE IT!!!! Empire is back on TV this Fall season and I can't wait to plop myself on the couch with a hot tea in my hand and watch all the family drama on that show. At first I didn’t watch Empire at all until my cousin had me binge watch it one day; I have been hooked ever since. 11. Start getting more “me time”. I don’t get me time often and that is the reason why I’m so overwhelmed lately so I need to put my foot down, give Mr. M and the girls the boot, and get some time to myself, even if it’s for a couple of hours. 12. Do more home decorating. I have been stepping my game up lately with my home décor and buying stuff from Home Goods, Pier 1Imports, IKEA, and Target to fill my home with more decorations since my house felt so empty. With me soon to be a full time work from home mom I want my home to look nice and keep me motivated while I’m working. 13. Start cooking more at home. 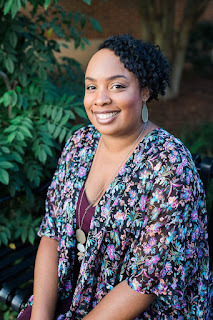 Since I still work full time outside my home and blog full time my schedule is very tight, so my family and I have been eating out way too much. I want to start cooking healthier meals at home. Do you know of any blogs or websites to find meal ideas, especially healthy ones? 14. Start preparing for the Christmas season because it’ll be here before you know it. 15. I don’t bake much but I would like to start baking yummy goodies again. The colder weather always calls for some tasty Fall treats. So, what is on your Fall Bucket List? I love your Fall Bucket List!!! I'm putting 2, 3, 5, 9-15 on my Fall Bucket List too. Thanks Kb! Glad you'll be adding some of these things on your list! 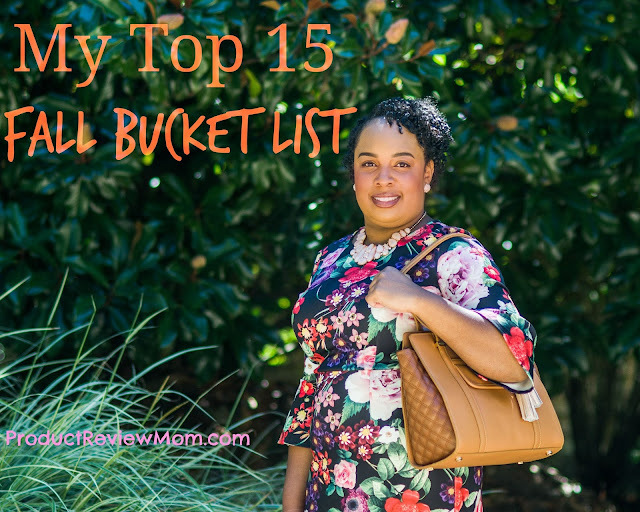 Great list and has inspired me to come up with my own Fall Bucket list! I started doing bucket lists during this past summer and it really helped me mark off all the things I want to do each season. I really want to find a corn maze in our area. My family has never been to a corn maze, so I think that would be a fun fall activity for us. Corn mazes are very fun Sonya, I hope you can find one close to you. Good list lady, so much stuff, especially fashion, home decor and travel, my faves. I have never painted pumpkins but that sounds like a good and quick DIY project! Have fun! Also, painting pumpkins instead of cutting them helps them last longer and that's a reason why I prefer doing it that way. Great list. I drink chai tea every morning. I'm working on my Fall bucket list tonight. Yum, chai tea is a great way to start the morning right! :-) I look forward to seeing your Fall Bucket List Kimberly.